This has created a situation where the heroic resistance of Syrians to the Assad regime and Russian imperialism largely doesn’t exist for most anti-war and anti-imperialist activists. The coming to prominence of Islamic State in Iraq and Syria (ISIS) in 2014 has aided this, as the media’s overwhelming focus on ISIS’s atrocities has provided a diversion from the savage violence of the regime, and the much more numerous nationalist-democratic armed rebellion against it. Rather than counter this narrative, StWC and other leftist activists have amplified it. Their arguments feed into the Russian narrative that they are just fighting ISIS and buries crucial truths about the tens of thousands of rebels who are engaged in a life or death struggle with the Assad regime and Russian imperialism. This is immensely damaging because the Syrian armed rebels are responsible for preventing the military crushing of the revolution, and are a vital part of its defence against any imperialist imposed settlement in Syria, particularly the present one being engineered through the Vienna “peace process” which has the backing of all the imperialist powers. The rebels have demonstrated that despite some of them receiving funding from foreign backers, they are committed to a Syria independent of imperial powers, and have refused to compromise on core principles5 of the revolution, despite the hardships. To understand the present situation of the armed rebellion, it is necessary to trace its roots, in the peaceful protest movement against the regime. It must be reiterated that Syria’s protests were largely peaceful for the first six months of the uprising. There were outbreaks of violence before then, but the overwhelming majority of the movement rejected the use of armed violence. The emergence of armed groups was a natural and predictable response to the indiscriminate violence inflicted on the peaceful protest movement from the very beginning. This cannot be understated. From the first protests, demonstrators were fired upon by the security services and snipers. On April 8th, 27 protesters were shot dead6 in Daraa. On April 18th, 2011, just a month after the protest movement emerged, the regime massacred7 dozens of people in the city centre of Homs, gunning them down as they staged a peaceful sit-in. Tanks were deployed against protesters in Daraa on April 23rd8. By early May, the regime had infamously arrested and tortured to death9 thirteen year old Hamza Al-Khateeb. His body – burned, battered, shot and castrated – had been handed back to his family three weeks after he was detained at a protest in Daraa. These acts were repeated across Syria as the regime unleashed horrendous violence to break up the protest movement and stop it achieving its “Tahrir Square” moment. Facing these abhorrent abuses, rebellious towns and neighbourhoods formed self defence groups – local men armed with whatever weapons they could find – that would patrol streets at night to try and deter incursions by the regime shabiha and armed troops. The violence of the regime necessitated these organisations, but they were mostly for self defence, and attacks on the regime were limited. This was the beginning of armed self-defence, but not the armed rebellion. Activists and protesters constantly reiterated their desire for a peaceful movement in the face of violent regime provocation. In response to the peaceful uprising the regime pursued a dual strategy to militarise and sectarianise the conflict. First it targeted leading members of civil society, arresting lawyers, academics, doctors – any peaceful non-violent activists – to remove them from the movement and deprive it of their influence and experience. Alongside this attack on civil society, the regime released hundreds of Islamic radicals from Sednaya prison in May 2011. Ostensibly part of a “general amnesty”10 in response to the revolt, in reality these radicals were released in order to stimulate the formation of the armed “terrorist”11 groups the regime claimed it was fighting. Many of these fighters were veterans of armed resistance in Iraq, and when released, reconnected with their underground networks to form Islamic armed brigades. Senior defectors from the intelligence services reported the regime even facilitated12 the formation of armed groups, utilising the networks it originally established to funnel fighters into Iraq during the American occupation. Finally the regime deployed sectarian language and violence against protesters, designed to inflame sectarian division and create a more favourable environment for radical islamic groups. Protesters would be beaten and insulted by regime forces with sectarian slurs, and were forced to chant “there is no god but Bashar” while enduring torture. While the regime deployed sectarian violence and released Islamic radicals as part of its strategy, the opposition had no united strategy on armed struggle. It was an organic response to the regime’s repression. There was no national coordination or overall direction to the process of taking up arms, and the issue of whether to undertake armed struggle was a live debate among activists across the country for many months. This gave it a fragmented, uneven and sometimes confusing character from the beginning. Rebel groups were founded by local men, from villages, towns, or working-class neighbourhoods. Defectors joined them where they could, seeking refuge from the regime that had officers performing field executions on all soldiers who wouldn’t follow “shoot-to-kill” orders.13 Thousands of soldiers and army officers were arrested on suspicion of sympathising with the revolution. Thousands more were tortured and killed. As more neighbourhoods and towns rebelled and the army was increasingly deployed directly against the people, more soldiers defected rather than shoot civilians. At first these were individuals, but as the revolt grew, whole units began to defect. The first officer to publicly defect was Hussein Harmoush, who fled to Turkey and announced14 his defection on 9th June 2011. On August 29th Harmoush was abducted15 by Turkish secret services and returned to Syria where he was tortured, forced to make a “confession”16 on national television, and then killed17. His example inspired others though, and further defections laid the basis for the armed revolt. The Free Syrian Army was declared on 29th July 2011, by Colonel Riad al-Assad and six other officers who had escaped to Turkey. It was always more a label than a cohesive organisation with a command structure. Rebel groups adopted the name to signify their membership, but it lacked structures due to the difficulty of organising inside Syria with the escalating repression. A Supreme Military Council of the FSA was formed which coordinated with the political opposition from December 2011. This was soon plagued by splits, with General Mustafa al-Sheikh leaving in February 2012 to form the Higher Military Revolutionary Council. On February 12th the Arab League announced a draft resolution allowing Arab nations to assist the opposition with financial aid and weapons. Qatar gave them $50 million to fund the FSA. Even with these funds, the disconnect and distrust between fighters on the ground and officers in exile, and relationship between the military and civilian wings of the opposition was already strained. By this point, the opposition was waging a large scale guerilla war on the regime19. Their numbers had grown as thousands of civilians took up arms to try and liberate their towns, or protect their neighbourhood from attacks by the army and shabiha. Bolstered by thousands of defectors, their daily attacks exhausted the regime forces. The regime was still desperately trying to repress the peaceful protest movement that continued under the protection of the armed groups, but its incursions into rebellious districts to capture protesters and defectors led to more defections and an emboldened insurgency. By February 2012 the death toll had passed 7,500 according to the UN20, with tens of thousands more imprisoned. With its strategies failing to halt the protests, and with the accelerating disintegration of the army the regime switched from political repression to population repression. The raids into rebel neighbourhoods to capture activists and defectors were halted. Instead the army laid siege to rebel areas and shelled them mercilessly21, before subjecting them to full scale invasion by the army. Homs was the first victim of this strategy: the residents of the rebellious Baba Amr district were surrounded and shelled for weeks before an invasion of the neighbourhood was launched in late February22. Thousands were killed during the two month offensive, and over 30,000 people were expelled from the district of Baba Amr. British journalist Marie Colvin was killed by government shelling23 while reporting from a rebel held area, and the siege was captured on film by BBC reporter Paul Wood in his Panorama report “Homs, Journey into hell”. Alongside this, the shabiha24, an irregular force of armed thugs in the pay of the regime, began to commit sectarian massacres against rebel towns and villages. Beginning during the Homs offensive, massacres were soon being committed across the country in an attempt to spark reprisals and stoke sectarian divisions. Over 200 civilians were killed on March 9th and 11th in the neighbourhoods of Ar-Ref’ia, al-Adawiya and Karm az-Zaitoun in Homs. 44 of them were children. On the 2nd and 9th April, Deir Ba’alba was attacked and 200 civilians killed25. On Friday 25th May the Houla massacre was committed; 107 killed26. Those attacked tended to be Sunni residents in mixed areas, where different religious groups lived together. The attacks were intended to fracture the unity of the revolt and make it easier for sectarian forces in the opposition to commit reprisal attacks, setting off a spiral of sectarian violence27. But there were no reprisals. In spite of these provocations the uprising maintained its momentum and unity and by mid-2012 it was estimated a quarter of the military had defected28. The regime was forced to withdraw from many parts of Syria, unable to control the territory as hundreds of armed groups waged guerrilla attacks on its checkpoints and bases. Rural and eastern regions of the country were abandoned, and the Kurdish regions were handed over to administration by the Kurdish Democratic Union Party (PYD)29. The PYD was entrusted by the regime to administer the region due to its long standing relationship dating back to the 80s and 90s30. The regime had allowed the PYD to maintain training camps and operate as a legal political party because they were a convenient bargaining chip to use with Turkey. Despite the regime viciously repressing the PYD when ties with Turkey improved in the 2000s, arresting and torturing over 1000 of its members, it still trusted the PYD to control the Kurdish areas and prevent the opposition taking control. The failure of the political opposition to fully support Kurdish rights early in the revolt gave the PYD the legitimacy to to maintain a neutral position, and crucially, a non-aggression pact with the regime. Areas controlled by the PYD were exempt from regime bombardment and state institutions largely remained intact, with the police and army still operating in the big cities of Qamishli and Hasakah. This co-operation between the regime and the PYD, and the presence of jihadists on the rebel side lead to frequent armed clashes between the rebels and the YPG. With the regime retreating, the rebellion managed to take control of many large towns, and in a six week offensive took control of half of Aleppo, the largest city in Syria. At this point the Free Syrian army was still the dominant force in the armed struggle. Over one thousand different groups – estimated to number 150,000 strong – were active across Syria, organised by men from a particular town or neighbourhood, or formed by groups of defectors. Attempts were made to establish a command structure, but with limited resources and support it was impossible to create a viable structure, and political differences and interference from regional powers obstructed this. There were already signs that the rebels backers; primarily Turkey, Qatar and Saudi Arabia, were interfering to frustrate their efforts. Rebels reported frequently that they would begin an offensive to liberate territory, and their backers would cease supplying ammunition. The rebels had been promised a supply of arms and ammunition for the liberation of Aleppo. When the operation began on July 19th regime lines collapsed and the rebels took half the city in six weeks. Then their ammunition supply ceased. The offensive ground to a halt and the rebels were placed on the defensive – at one point they only had 600 bullets left to resupply their forces32. Their lines held but they were stopped from completing the capture of the city. The regime was able to reinforce its positions, and Aleppo was divided in a stalemate, in which it remains to this day. With the regime on the defensive, rebels main problems were a lack of weapons and resources, and the challenges of coordinating a chaotic insurgency. Attempts were made to create accountable leadership structures for the armed groups, but the opposition groups were never given control of the resources necessary to do so. Regional backers controlled the flow of weapons, and demanded allegiance in return for supplies. Most rebels, valuing their autonomy, refused, and so the situation persisted. Although more numerous and with popular support, without heavy weapons the rebels couldn’t penetrate regime strongholds in the large towns and major urban centres. An offensive was launched to capture Damascus in July 2012, and FSA units reached right to the city centre, but the regime managed to fend off the attack with support from Hezbollah and loyal military units. Without heavy weapons, and with no way of neutralising the regime’s air power the rebels were outgunned and defeated. Once the regime regained control of Damascus, they began a campaign of collective punishment against the Sunni-majority suburbs which had sheltered the rebels. Whole neighbourhoods were razed to the ground and their populations expelled. Human rights watch documented seven instances of this in Damascus and Hama38, but the practice was much more widespread, being inflicted upon opposition supporting villages, towns and neighbourhoods across the country.. In a January 2013 article in Foreign Policy; “Fund Syria’s Moderates”, Robin Yassin-Kassab laid out the disparity between rebels and regime that was causing a stalemate to emerge. The rebels had taken all the soft targets; rural towns, villages, and isolated army bases. Now they were attacking entrenched positions defended by loyal troops, and their lack of heavy weaponry and poorly coordinated armed groups was proving an obstacle. Unable to break through regime lines, and with atrocities against civilians mounting daily, General Salim Idriss, the head of the Supreme Military command of the FSA went to Europe in March 2013 to ask for support in developing the FSA into a credible force. As detailed by British-Syrian journalist Rami Jarrah43 who accompanied General Idriss, officials and politicians from the EU met FSA leaders, visited their bases, and discussed plans for transforming the military struggle, using it to pressure the regime to a negotiated political solution, avoiding the regime collapse that the Western powers were said to be afraid of. Despite the FSA leaders pleas and detailed plans, the weapons and support from the EU never materialised. Instead the EU maintained its arms embargo on all groups in Syria; both the regime and the opposition, thereby freezing the existing power imbalance. Jabhat al-Nusra, estimated to have had just two hundred fighters when its nucleus entered Syria in late-2011, had by this time grown to 3,000-5,000 strong. ISIS groups began to appear, sent over from Iraq to recruit and lay down roots among the chaos. These groups had no problem sourcing funds, either from international jihadists networks in the case of Jabhat al-Nusra, or from its high efficient smuggling and extortion rackets in Iraq in the case of ISIS. Compounding this was the failures to construct accountable local government and reduce the chaos and lawlessness resulting from the revolt and collapse of state institutions. Secular and nationalist armed groups concentrated mainly on fighting the regime, and left government to local councils of activists and community leaders. While in some places like the town of Daraya,46 local councils were able to assert democratic control over the armed groups, in many places the lack of resources, and infighting between rebels prevented this. Starved of funds, some armed groups resorted to robbery and smuggling to fund their operations – imposing checkpoints and taxes on those travelling and trading – behaviour that was resistant to democratic control. Some took kickbacks from state employees in return for allowing them to sit at home, undermining public services and local government in rebel held towns. Assets like oil fields,47 factories and power plants were seized by groups and income from them used to pay for the armed struggle. This lead to warlordism and infighting as some factions grew rich and powerful and others fought them for control of territory and assets. Islamic rebel groups were arguably better prepared politically; they created sharia courts and enforced justice and accountability through them. 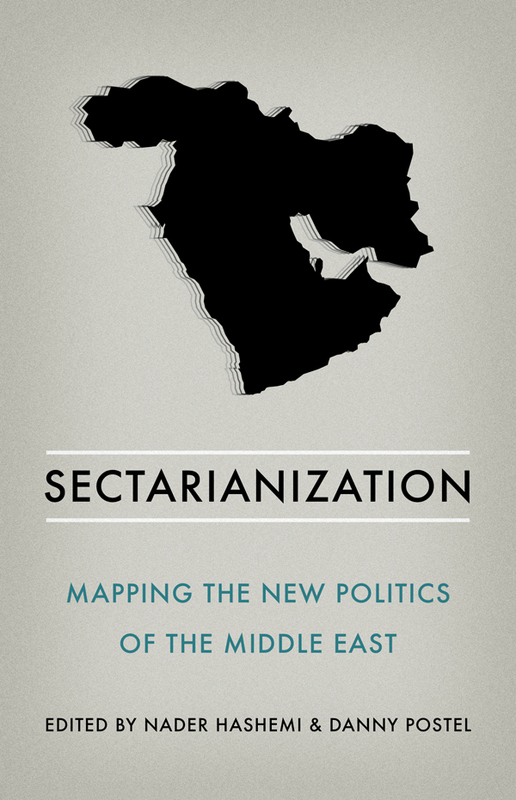 This created some stability and reduced lawlessness, and Islamic rebels gained a reputation as being less corrupt than nationalist or secular armed groups. The major factor in preventing the stabilisation of rebel area’s though was the regime’s constant bombardment and the ongoing fighting. Constant attacks on opposition state institutions disrupted their functioning, the loss of local populations to internal displacement or as refugees harmed local economies, it disrupted the provision of public services and the functioning of local councils. It crucially deprived civil society and non-violent activists of their support base, and strengthened the influence of armed factions, particularly hardline groups who gained legitimacy from the on going chaos, sectarian regime violence and massive destruction. The situation worsened throughout 2013. Hezbollah openly declared its intervention on the side of the regime, sending its troops to reinforce regime lines, and launching an assault on rebel held Qusayr. Qusayr, a mixed Muslim-Christian town near the Lebanese border, was a beacon for the revolution. Positioned near a key supply route, following its liberation in mid-2012 the regime had not dared assault it.48 The opposition established a local council and organised the provision of public services, reopened schools and governed for the people. It was an example of the possibility of a free, democratic Syria. Hezbollah intervened to smash this example of an alternative government, and close the vital supply route for the rebels in Homs. In April the Syrian Army and Hezbollah launched an offensive that captured the surrounding towns and villages. By May Qusayr was besieged,49 subject to a fierce bombardment50 and assaulted with thousands of battle hardened Hezbollah soldiers.51 The rebels stood little chance, resisting bravely but eventually being overcome.52 Thousands of rebels and civilians were killed, and thousands more fled the town and surrounding villages. This was a serious defeat, closing the supply lines into Lebanon that rebels in central Syria were dependent on. The intervention of Hezbollah tipped the scales in the regime’s favour, and heralded the start of a series of losses for the rebels as their frontlines were driven back across the country. Seized on by pro-Assad media as evidence of the rebels sectarianism, it was more a description of the dynamics of the conflict. The crushing of the revolutionary bastion by a Shiite armed group (Hezbollah) on behalf of a viciously sectarian regime would inflame sectarian tensions, and give extremist voices more support in the uprising. This was already happening. 2013 saw the first sectarian massacres by armed rebel groups; in Maksar Hesan in Homs in May, in Hatla village in Deir al-Zour in June, in Latakia suburbs in August 2013, and Sadd City in Homs in October.54 Ahrar al-Sham, Jabhat al-Nusra and ISIS were involved in these atrocities. At this point ISIS were still considered part of the armed rebels and some radical Islamic factions allied with them for offensives. These were terrible crimes against humanity, and received widespread condemnation from all other armed groups and the political and non-violent civil opposition groups. These attacks were a response to the regime’s sectarian massacres against the civilian population in all parts of Syria in the preceding year. 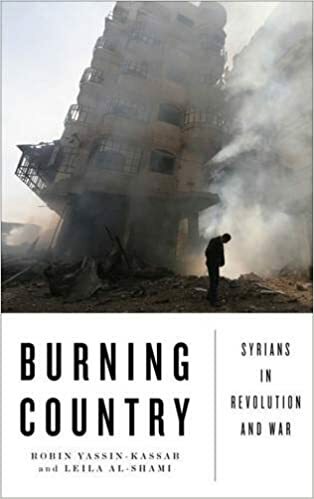 It has to be stressed that it was two years into the uprising, and only after enduring dozens of massacres themselves, that forces connected with the opposition responded to regime atrocities by perpetrating massacres. It was clear sign that brutal violence and oppression of the regime was degrading and corrupting the values of some of those who fought it. An example of this is Khalid al-Hamad (nom de guerre Abu Sakkar), a day labourer and peaceful protester who became infamous as the “cannibal rebel”. In May 2013 Abu Sakkar was filmed cutting a piece of flesh from the corpse of a regime soldier and eating it. This video was a propaganda gift for the regime, and was broadcast around the world as an example of the rebel’s inherent barbarity. The rebels sense of abandonment by the international community and the world’s people, was severe. This grew when Obama’s red line was revealed to be little more than a mirage. The regime counter offensive gained pace throughout 2013, culminating in the Ghouta chemical massacre in August. In an attempt to break the rebel lines around Damascus, the regime used sarin gas against the population. Over 1400 people were killed in one night. The regime failed to break rebel lines, but it was a key turning point in the conflict. The US and European governments failed to intervene, settling for a deal whereby the regime gave up its chemical weapons in exchange for no airstrikes. The rebels, expecting the regime’s airstrips to be bombed and a no fly zone implemented, were left shocked and disoriented. Democratic and nationalist forces, who had been relying on the US and EU to come to their aid, were left disillusioned and humiliated. Free Syrian army units began to defect to radical Islamic brigades, which had been warning all along about “the West’s” propensity to betray. One of the regime’s offensives in November 2013 Aleppo killed Abdel Qader Saleh. Saleh was a leading rebel figure in the North of Syria in the Tawhid Brigades, a democratic Islamic group. Saleh was part of the FSA command structure and a key link between Islamic groups and the FSA. Respected by all for his leadership, his death was mourned by many. Following Saleh’s death, Islamic armed groups broke from the FSA structures and founded the Islamic Front in November 2013.60 This created a separate, Salafist-led coalition to rival the FSA, and further entrenched radicalisation and division. More extreme forces were growing in the chaos caused by the regime. ISIS was growing in strength, and actively spreading discord and chaos. They was already notorious for brutality and abuses of civilians in liberated areas. It regularly assassinated rebel commanders, seized their territory and suppressed civil society activists. ISIS was suspected of several attacks on the Kafranbel media centre and the attempted assassination of its director, Raed Fares. Kafranbel’s weekly demonstrations and creative english language banners have attempted to keep alive the spirit of the revolution, and were a regular target for repression by ISIS and Jabhat al-Nusra. Initially rebel groups attempted to appease ISIS to avoid a fight on two fronts, but ISIS’s behaviour forced their hand. In late December 2013 ISIS tortured to death a popular Ahar al-Sham commander, Dr Hussein Al Suleiman, known as Abu Rayyan.61 Abu Rayyan had gone to meet ISIS officials to try and negotiate a truce and end the rebel infighting. His body was returned to his men, brutally tortured. Following his murder, civilian revolutionary groups called a day of protest on January 3rd against ISIS’s authoritarian practices and in memory of Abu Rayyan. Mass protests happened across Syria62 as tens of thousands launched a “revolution within the revolution” to reject ISIS’s brutality and sectarianism.63 In coordination with the protests, rebel groups launched assaults on ISIS checkpoints and bases across the country. FSA and Islamic Front units fought together against ISIS, and even Jabhat al-Nusra was intimidated into joining the revolt against ISIS for fear of receiving the same treatment itself. In the space of six weeks the rebels had driven ISIS out of Latakia, Idlib, Hama, Aleppo and Raqqa province. They hung on in Deir al-Zour Province, near the border with Iraq, but their presence in most of Syria was smashed. As ISIS retreated from Syria they retaliated by slaughtering many of the civil society and democratic activists they had imprisoned in their dungeons. ISIS pulled its forces back into Iraq, regrouped and launched an offensive against Mosul. 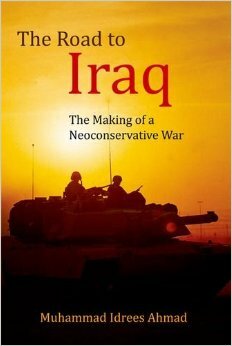 The Iraqi army, hugely corrupt and with low morale, collapsed and fled and Mosul was seized. ISIS raided Iraqi army depots and gained high quality US weapons and equipment. Due to the vicious sectarianism of the Maliki regime and its brutal crushing of the Iraqi spring, ISIS was greeted like a liberating army by Sunni parts of the population. Bolstered with thousands of new recruits, with a regional capital under its control and powerfully armed, ISIS returned to Syria as a powerful occupying army. They captured much of Deir al-Zour province and Raqqa and advanced almost all the way to Aleppo before they were halted. They declared their Islamic State with Raqqa as its capital on June 30th. This episode was a massive blow to the revolution. They had lost almost half of Syria to ISIS. Men and resources which were badly needed for the fight against the regime were now in ISIS hands. Towns and cities which had been centres of revolutionary activity like Raqqa, Minbej and al-Bab were now occupied by ISIS, and their fledgling democratic organisations were crushed. In Minbej, the populace resisted ISIS.65 The revolutionary council of the town called for a general strike against ISIS’ rule.66 The first workers union in Free Syria, formed at the enormous flour mill which was the centre of the town’s economy, struck and protested against attempts by ISIS to seize control of the mill and take the profits for themselves. They were crushed with immense brutality. Still Syrians resisted their tyrannical rule.67 A group of media activists in Raqqa formed a media collective called Raqqa is being Slaughtered Silently (RBSS) to report on and draw attention to ISIS crimes. ISIS has viciously targeted citizen journalists, executing many and even sending double agents into Turkey to murder RBSS activists living there. In August 2014 in Deir al-Zour province the pro-FSA Shueitat tribe staged an armed uprising against ISIS.68 Civilians held protests calling for ISIS ousting, and ISIS was expelled once more from towns and villages along the road between Deir al-Zour and Iraq. Victory was shortlived however. With the rebels weakened by ISIS and the regime’s advance, no one could come to their aid, and ISIS sent reinforcements from Iraq and Raqqa. The uprising was crushed and seven hundred men from the Shueitat tribe were murdered in a mass execution. This is the single largest execution to have occurred during Syria’s civil war. Having seized most of Free Syria from the rebels, ISIS then launched an offensive against Kobane, then controlled by the Kurdish Peoples Protection Units (YPG). This was when the group became known worldwide, even though Syrian rebels had been fighting ISIS already for eight months. The siege of Kobane received international media coverage as ISIS attempted to take the small Kurdish town on the border with Turkey. The US was eventually pressured into assisting the YPG with airstrikes by political pressure from Turkey and public protests around the world organised by Kurdish solidarity organisations. No solidarity was forthcoming for the Syrian rebels who were fighting both the regime and ISIS. Despite the YPG being the main recipients of US military aid in the form of weapons and airstrikes, the regular refrain from the media and analysts is that the rebels are “western” or “CIA” backed. Yet the Obama administration’s drip feeding of aid to the rebels hardly qualifies as this. The US has given small amounts of support to the rebels; publicly sending them non-violent aid from mid-2012, while a covert CIA programme was started in 2013, providing arms and training to rebels via bases in Turkey and Jordan. Although there are no exact figures on the total number of rebels trained by the CIA (in October 2013 the Washington Post described the covert programme as “minuscule” and reported less than 1,000 had been trained so far)69 estimates put it at no more than 10,000 receiving US-supported training over the course of the five year conflict. In the context of the entire armed insurgency, which at its height in 2013 mobilised from 150,000-200,000 men, this is a tiny proportion of the rebels, and did nothing to turn the conflict in the rebel’s favour, or create functioning “proxy” forces for the US among the rebels. Mid-way through 2013 the US finally agreed to provide arms publicly to rebel brigades to fight Assad, but this was withdrawn by the end of 2013 when Islamic rebel groups raided the arms depots of US-supported groups.72 The US-supported groups complained that the US paltry level of support meant they were too weak to defend themselves, and they were left politically isolated and discredited when the US failed to intervene following the Ghouta massacre. The rebels were then largely left to fend for themselves by the US from spring 2014 onwards, until the expansion of ISIS into Iraq and establishment of the “caliphate” spurred another attempt by the US administration to engage with them, this time to attempt to co-opt them entirely. (ISIS), and securing territory controlled by the Syrian opposition. posed by terrorists in Syria. (3) Promoting the conditions for a negotiated settlement to end the conflict in Syria. The programme met with widespread mockery and derision from rebel groups, who saw it as a transparent attempt to turn them into US proxies. Many refused to engage at all with the programme, and even those that did soon quit in disgust at the constraints placed on them. After only succeeding in graduating 60 rebels, the programme collapsed soon after the first batch entered Syria in June 2015. Adopting the name “Division 30”, they entered Syria and were attacked almost immediately by Jabhat al-Nusra, who killed and arrested several fighters. Local FSA brigades negotiated their release and they were briefly allowed to join the frontlines at North Aleppo, but the US backing they were promised never materialised. The close air support that had been pledged to help the rebels against ISIS was limited to half a dozen airstrikes over the space of a week, a purely symbolic gesture. A second batch of rebels from the training programme were then deployed to Syria, and they promptly handed a portion of their equipment over to Jabhat al-Nusra in exchange for safe passage through the region,76 and their commander declared they would operate as an independent brigade, no longer associated with the US.77 The Syrian rebel commander overseeing the training programme resigned listing numerous failings with the programme,78 and it was then abandoned by the US,79 with the remaining funds and equipment being given to the YPG. The rest of 2014 was a bad period for the rebels. Iran intervened more openly, deploying thousands of Iranian Revolutionary Guard Corp (IRGC) to support regime troops and Hezbollah. They enlisted Shia militias from Afghanistan, Pakistan and Iraq to bolster regime forces that were exhausted and demoralised. Iran bankrolled the formation of the National Defence Force (NDF), a loyalist militia predominantly drawn from the Alawite sect. The NDF was used to garrison towns and free up SAA forces for offensives. Estimated to be 150,000 strong, the NDF was equipped with material from the SAA, and had a separate command and control structure. This created conflicts between regime forces, as the SAA was robbed of material to equip the NDF, and its poorly paid conscripts were moved out by well paid NDF militiamen. Assad declared in mid-2014 that they would end the civil war in 6 months, and launched an offensive to encircle rebel held Aleppo. This offensive, like all the others, failed. The regime was unable to cut the rebels supply routes and complete the siege. Rebels held out and regrouped. Following their disillusionment with the West, they set out to be more self-sufficient, with the realisation that no serious assistance would come from there. By December 2014 the US had cancelled all plans to further fund and equip the armed opposition to Assad. In Aleppo, an FSA alliance was formed called Fatah Halab.84 Like the Southern Front, they too excluded Jabhat al-Nusra, which was forced to form its own, smaller Islamic coalition called Ansar al-Sharia. Fatah Halab undertook several operations around Aleppo, taking back key areas, but despite isolating and refusing to work with Jabhat al-Nusra, they received no support from the US or EU. In Idlib province in the north, a new military coalition was formed in early 2015, Jaysh al-Fatah, the Army of Conquest.86 The core of Jaysh al-Fatah was Ahrar al-Sham, the largets group in the Islamic Front, but it united Free Syrian Army factions along with hardline jihadist factions like Jabhat al-Nusra and Jund al-Aqsa. Jaysh al-Fatah was able to marshall 12,000-15,000 fighters. Rebel unity paid dividends. In the space of three months Jaysh al-Fatah liberated Idlib city and drove the regime completely out of Idlib province.87 The coalition then began the slow march towards Hama City. Advancing slowly but steadily under continuous regime airstrikes, the rebels inflicted a series of defeats on Syrian army troops. Jaysh al-Fatah advanced to within 20km of Hama. The regime was close to defeat, relying increasingly on foreign sectarian militias to do its fighting, and Assad even making public statements that they would be unable to retake parts of the country. Draft dodging is still taking place on a massive scale as thousands avoid conscription into the army, even from “pro-regime” communities. If Jaysh al-Fatah had reached Hama and engaged in a battle for the city it would have ruined plans for maintaining the regime. Hama is famously anti-regime, where some of the largest anti-regime protests took place. Taking Hama would have critically weakened the regime’s hold on the centre of the country, and ruined any plan for partition to preserve the regime. The Russian intervention has been merciless. They have intensified the regime’s strategy of depopulating rebel held areas, targeting vital infrastructure like hospitals, schools, bakeries, markets, water treatment plants and grain silos. The bombing has wreaked destruction on the civilian population – displacing 300,000 people, cutting off fresh water for 1.4 million and reducing aid supplies by 80%88 – and now it is beginning to turn the tide of the military struggle. The major supply route between the Turkish border and Aleppo has been cut by a regime offensive lead by Iranian backed militias, and the rebels in the North Aleppo countryside are encircled and under assault by the Kurdish YPG from the west, regime forces supported by Russian airpower from the south, and ISIS from the east. With the regime struggling to militarily defeat the rebels, even with the intervention of Russia and Iran, the imperialist powers hope to defeat what remains of the revolution through the Vienna “peace” plan. By taking Assad’s removal off the table, and bullying the rebels into the process through threat of force and withdrawal of aid, they hope to inspire splits and infighting enough to weaken to rebels and defeat them, or force a settlement which maintains the regime, with or without Assad. It remains to be seen whether the rebels will willingly enter the trap of the Vienna process. They have been offered nothing by the process, and while the imperialist powers are trying to bully them into it, they have show a remarkable resilience the last four years, and an ability to keep fighting and winning against overwhelming odds. There is no fate, nor predetermined end results for social processes. In reading this story I am baffled by the recurring excuse that without external support (be it Us, EU, the democratic Saudis or Qataris), the non Islamist opposition is doomed to fail. If this was really an anti imperialist opposition, they would never could have relied in the gifts of Qatar, Saudia or the non imperialists EU and USA. The moment they relied in foreign support to survive, they were dammed: they became puppets of external patron´s quibbles and lost any independence they could have had. On the other hand, more than half of the population remains in government´s areas, and the reality is that most of the Syrian Army and Air Force are Sunni. A quarter of the army defected or went AWOL, but more than half of the armed forces remain loyal to the government and stand still fighting. And the Iranian, Shia or Hizbollahi intervention is in order to maintain the logistical channel for Hizbollah, nor for love to the Syrian Government. And, being cognizant that the Syrian Government applied brutal neoliberal policies since the 1990s, that always relied in torture and repression of any kind of opposition, one wonders if is it only thanks to the external help that this government remains. I follow Syrian events since the 1980s, and it is crystal clear that the only viable armed opposition to the actual government is an Islamist one. Because it has 30 years of agitprop efforts. Because it has ample financial resources. Because it terrifies any armed opponent with the thousand of would be drivers of the VBIEDs. Then, it is no surprising to me that things evolve the way they did. Then, one wonders, what if in the 2011 the non Islamist opposition reached Iran, Russia and Hizbollah for support? what if they traded with this support the arms for political change? would have members of the government be open to such an agreement? If so, would the Syrian people be saved from years of brutal war? Or, what if the non Islamist opposition never weaponize themselves? could it have survived? could it had leave the government without the rationale for a civil war? Maybe they could have lose altogether, but they would have spared the Syrian People of a brutal war. Or the war would have been more localized and only with the Islamist ones. We will never know the answers to those questions, but they allow us to understand that there were the choices of the non Islamist opponents of the Syrian government, as well the choices of the Syrian government and of the Islamist ones, not to mention those of the non imperialists US and EU, Russia, Iran, Hizbollah, the Shia militias, the Islamist transnationals, the democratic Gulf Sheikhdoms, that led Syria and the Syrian people and workers and women to the quagmire they are enmeshed now. Now it is also time to ask: was it worth it? I believe that many people in many quarters of the Syrian society will answer no. Many of them, if they could rewind the time surely would have search for a different outcome, would have lowered their expectations, would have search for compromise and agreements. Because this hellish outcome has only one winner: the Islamist groups.And many, many losers: in the government camp as well as in the secular opposition. I wish the Syrian workers, women, people of all ethnicity and creeds, could reach a peaceful solution to the inferno they and foreign actors put themselves in. 😭 for the Syrian people. Allah give victory to the Free Army.